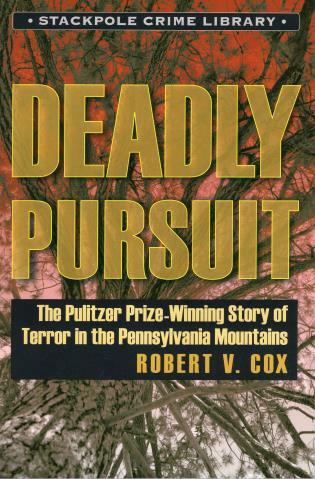 The true story of terror in the Pennsylvania mountains, Deadly Pursuit follows law enforcement officials on their hunt for a mysterious mountain man responsible for a number of attacks committed over a two-year span near the small town of Shade Gap. The case escalates when a woman is abducted, sending police on a seven-day manhunt through the mountainous country that proves fatal for several people involved. The case was the inspiration for the movie Cry in the Wild: The Taking of Peggy Ann, starring Megan Fellows and David Morse. Robert V. Cox was a longtime reporter for the Chambersburg Public Opinion whose coverage of the case earned him the Pulitzer Prize.